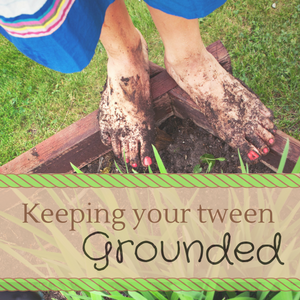 Welcome to Day 19 of the Grounded Series! We both have large families (with tweens in the mix), we have adopted and birthed babies, we write, we are singer/songwriters, worship leaders, and love Jesus. It is with great joy that I invite local friend, Niki Homan, to share her heart as part of this series. It all started with elastic waist pants and bargain-barrel tennis shoes. Every year, we went as a family to pick out new school clothes. This was one of my FAVORITE activities. Until the year no pants fit. I tried on everything – even jeans from the “mom” section and NOTHING fit. So, we grabbed what we could – jeans with an elastic waist. Next was the shoe store. God had blessed me with the feet of an Amazonian woman. Choosing shoes (that fit our budget AND my feet) was a very simple task…because it narrowed the choices down to about three. Three shoes in the ENTIRE store. I made my purchase and had already begun to plan my outfit for my first day of 6th grade before we left the store. This would be the BEST YEAR EVER. Remember those “first days?” What it was like to find your locker and follow a school schedule? Remember walking courageously through the halls of the unknown? I do. Just like I can remember the day I saw beauty in everyone BUT me, the day the elastic waist squeezed too tight and the shoes felt heavy on my feet. The day a boy chased me through the gym shouting, “Look at fat girl!” and the day, soon after, that I thought not eating would solve all my problems. Now, years later, as the mother of 10, four of which have hit the “tween” years, I’m realizing this battle with self-worth was not only MY battle. It’s not just a battle young woman face either. All of us must decide what mirror we will see ourselves through. And in this awkward “tween” stage of gangly limbs and changing bodies, first zits, and deep emotions – it is so important that our children are positioned in front of the RIGHT mirror every single day. I have ten children – 6 of them are adopted. We come from a variety of ethnic backgrounds and body types. We are a melting pot for insecurity. One son is 6 feet tall…and 12 years old. Another is almost 14 and shorter than me. How do I ensure that BOTH of them feel confident despite their obvious differences? It all starts with ME. I must also look in the right mirror for MYSELF. I must see myself through the eyes of Father God, through His Word. Confidence is contagious. As a mother, I must watch my words about my body, my weight, and my physical features. I must remember my children are listening, watching, taking it all in. I can’t take them where I’ve never gone or point them at a mirror I have never looked into. If I am going to tell them the “right” mirror is God’s Word and what He says about them…then I have believe it…and LIVE it. Mama, do you know who you are? Do you know the way He sees you? James 1 tells of a man who looks in a mirror, but then walks away and in walking away, forgets who he saw in the mirror. 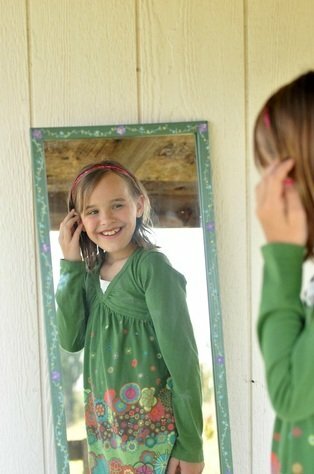 As a mom, I am determined to bring my tween back to the right mirror over and over again. I put Scripture up in their bathroom, next to their closet– wherever they will see it. As a mom with 7 boys, that means a lot of Scripture finds its way to the refrigerator! We memorize it together. We set aside time to dig deep into God’s word together. I want my children to look in the mirror of God’s Word so often they CAN’T FORGET who they are. I want the truth to be louder than the lie in their lives and in mine. I’m thankful for freedom. Jesus has done such a good work in me and it had nothing to do with losing weight, but had everything to do with finding the right mirror. Through the eyes of the Father, YOU ARE PRICELESS! Checkout her website nikihoman.com and blog. 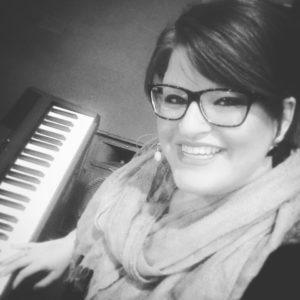 Nicole is also a singer/songwriter, check out her anointed music here. 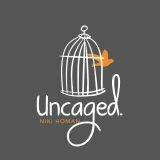 Niki’s books and new album, Uncaged, are available on amazon, search “Niki Homan” (CD also on Spotify and iTunes).